Gaza City (Palestinian Territories) (AFP) - Israel said Friday its aircraft had struck dozens of Hamas targets in the Gaza Strip overnight in response to rockets from the Palestinian enclave, including rare fire toward its economic capital Tel Aviv. The escalation followed weeks of growing tensions and came at an especially sensitive time ahead of Israel's April 9 elections. As the polls approach, Prime Minister Benjamin Netanyahu is widely believed to want to avoid a fourth war in the Gaza Strip since 2008 -- but the exchange of fire again showed the risks. Quiet returned to Gaza and Israel on Friday morning. UN and Egyptian officials were in contact with both sides "to prevent the situation from spinning out of control", a source with knowledge of the discussions said. Organisers of weekly Friday protests along the Gaza border fence, which have been accompanied by violence, announced they would be cancelled -- the first such move since they began nearly a year ago. Four Palestinians were wounded in the Gaza strikes, the enclave's health ministry said, while no Israelis were reported injured. 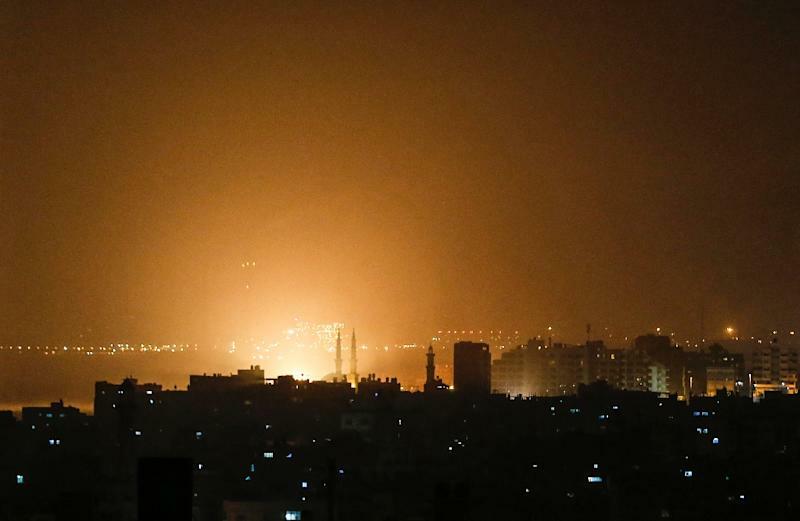 Explosions could be heard throughout the night in Gaza and fireballs lit the sky. Rocket fire toward Israel's southern communities near the blockaded coastal territory is common, but Tel Aviv is rarely targeted. Police said Friday they found remains of one rocket in an uninhabited area "in central Israel", with media reports saying the second fell into the Mediterranean. Both Hamas, the Islamist movement that runs Gaza, and its ally Islamic Jihad denied they were behind the rocket fire towards Tel Aviv. But Israel's military said they were launched by Hamas. Israel has long said it holds Hamas responsible for all violence from Gaza, controlled by the group since 2007. US Secretary of State Mike Pompeo said Friday the Gaza militants attacking Israel were "armed and financed by their puppet masters in Tehran". "We stand by our ally. Israel has the right to protect its citizens," tweeted Pompeo, who is due to travel soon to the Jewish state. On Friday, Israeli media reported the military's preliminary assessment was that the rockets were fired by mistake during maintenance work -- a sign Israel was seeking to calm tensions. Islamic Jihad said Friday that Palestinian militants would hold fire if Israel did the same. Israel said its aircraft hit around 100 Hamas targets, including a complex allegedly used by the group to coordinate militant operations in the occupied West Bank. Another was "the main manufacturing site of standard-grade rockets in the Gaza Strip", an underground location, it said. A security source in Gaza said dozens of strikes targeted bases belonging to both Hamas and Islamic Jihad. A position belonging to Hamas's military wing, near its leader Ismail Haniya's family home on the outskirts of Gaza City, was damaged, with rubble strewn across the road, an AFP journalist said. Hamdi, 22, who works in a bakery in Gaza, said "since the morning very few people have come compared to normal Friday mornings. People are afraid of bombs -– like in a war." Gaza residents reported a number of rockets fired back at Israel in response. 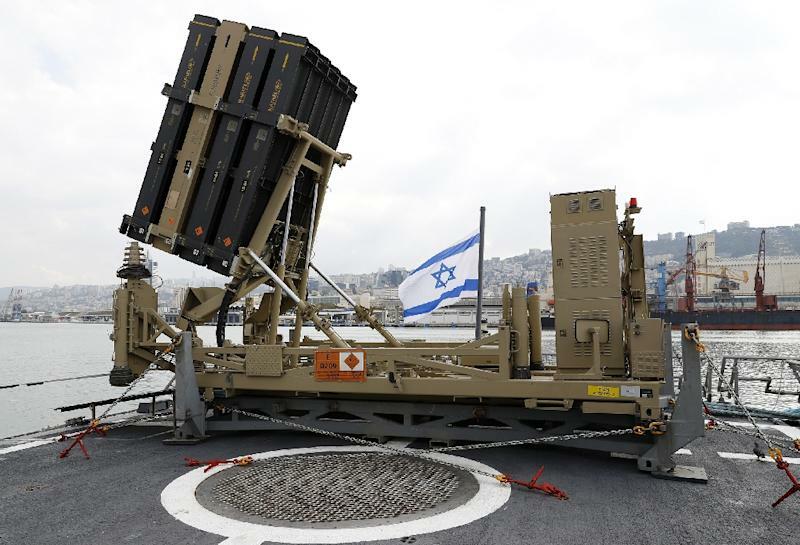 Sirens rang out in southern Israel early Friday and the Israeli military said it identified four "launches" from Gaza. Three were intercepted by missile defence systems, it said. Since Thursday night, around 10 rockets were fired from Gaza. Almost daily exchanges between Israel and the Palestinian territory have threatened a wider escalation in hostilities over the past few weeks. It comes as the one-year anniversary of mass protests and clashes along the Gaza-Israel border fence approaches on March 30. An informal truce between Hamas and Israel had led to relative calm, but recent weeks have seen another uptick in violence. Netanyahu warned Sunday that Israel would not hesitate to launch a "large-scale operation" in Gaza if provoked. His main election rival, former military chief Benny Gantz, accused Netanyahu of letting Hamas and other Gaza militants dictate "the agenda". "We have to regain the initiative, implement a harsh and consistent policy against Hamas," he said at the Gaza border.